When someone or something really gets on my nerves, I have found myself on a few occasions irrationally buying a lens that I did not need or found too expensive for what it was. A compulsory purchase that cleanses me of my inner fury – for a while at least… The middle-age crisis for photographers I guess, rather than driving a Porsche like Duchovny in Californication. 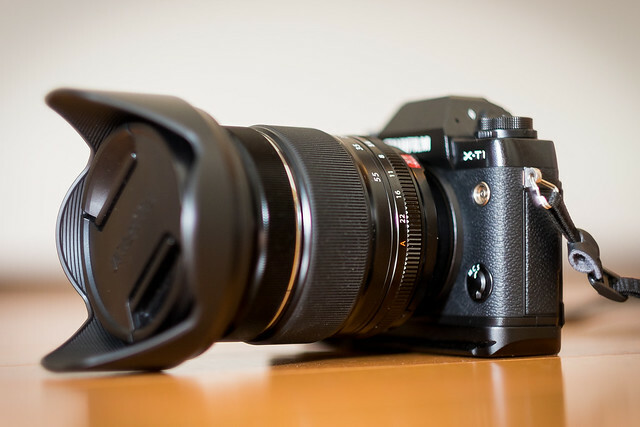 The XF16-55mmF2.8 R LM WR (no-OIS…) is one of those lenses. Absolutely did not need it. Did not lust for it. Had more important things to spend my money on. Yet, it is now in my bag while my bank account is now feeling lighter. Hashtag #firstworldproblem I guess. To be precise, it’s actually not inside my bag, it is still mounted on my X-T1. I got it on the day it came out (it’s almost my birthday was the official justification…), and ironically I have only been shooting with it ever since. Mind you, I don’t count the pictures I have been taking with it these past few weeks as my finest body of work: if I think portfolio, when I shoot wide I want to shoot really wide… and when I shoot tight, I want to shoot really tight! However, I certainly have been enjoying my time with it. i found it to be a perfect travel companion, or to take with me while walking through the city or meeting friends. As expected (and as priced…) it is optically perfect and produces beautiful images. More importantly for me, it just never gets in the way. I can just shoot with it through the day and never have to think about it or worry thanks to the weather resistance. Hey, check that account above and the link down here. He use your picture, and in his caption, he assume that he captured the picture. Maybe you can find your another picture there.